Delicious minced meat filling wrapped in our golden puff pastry. Made using only the finest locally sourced ingredients and quick frozen for freshness. Wheat Flour, Margarine, Water, Minced Meat, Parsley, Onion, Salt, Spices. Onan S.Ü. 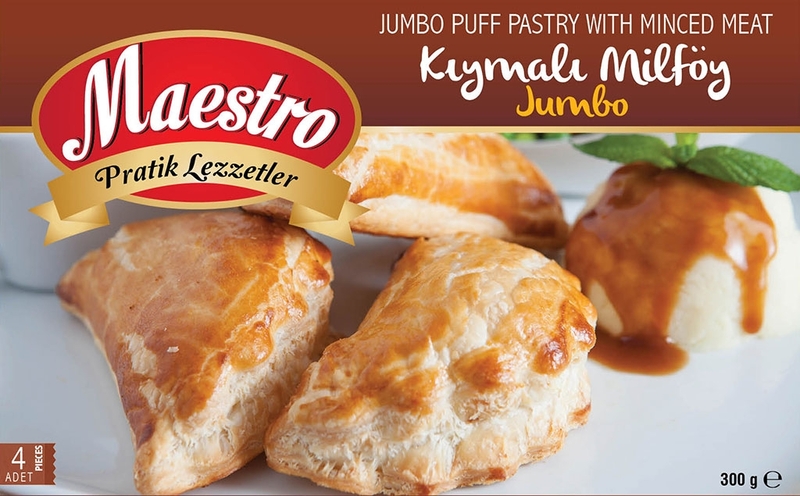 (Frozen Foods) Ltd.
is the only producer and distributor of frozen and par baked goods in North Cyprus under the MAESTRO brand name since 2002. The Company offers the consumer products under 4 different categories - Pizza, Pasta, Puff Pastry and Ready Made Meals. © 2015 Onan S.Ü. (Frozen Foods) Ltd. All Right Reserved.